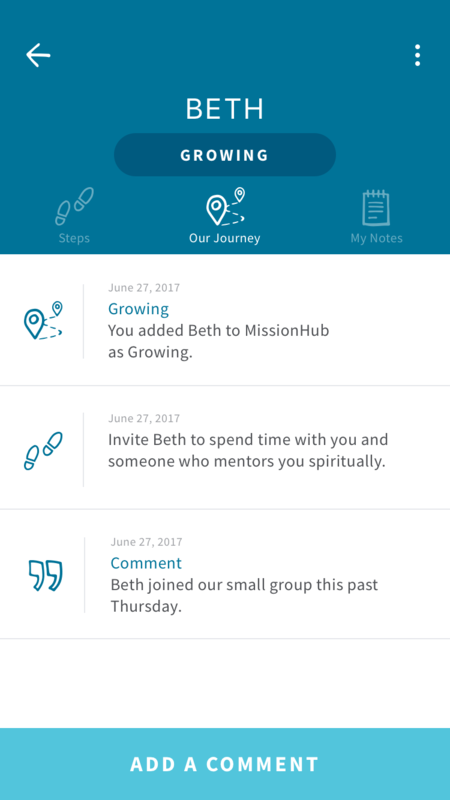 MissionHub saves all of your completed steps so you can see how your relationships are developing. This is the story of you, God, and the people you both love. Journey will show you stage changes and completed steps of faith you are trusting the Lord with.